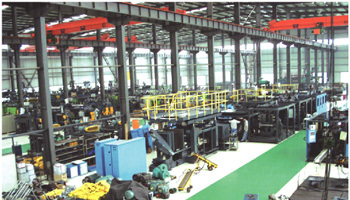 ZHANGJIAGANG HUAFENG The most famous & the longest history blow molding manufacture in China mainland. 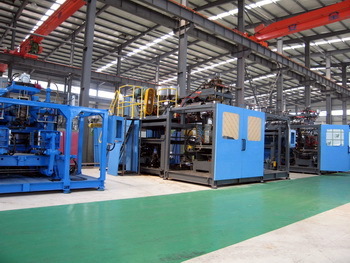 The company is majoring in the field of designing, manufacturing and selling all types of blow molding equipment which are suitable for manufacturing the hollow plastic products such as plastic bottles, pots, barrels, boxes, bags, toys, plastic trays, super-big plastic barrels etc with the occupation from 0.01-5000 liter. 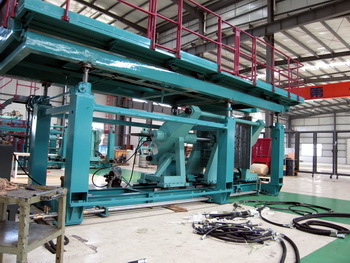 The 1000-liter hollow blow-molding machine is right here. 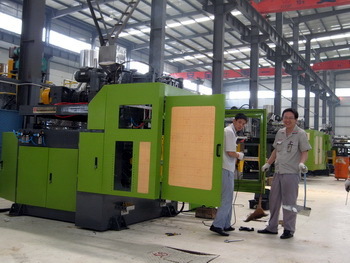 With 60%of the occupation of the market, varied kinds of the company have worldwidely sold to Southeast Asia, Europe, America, Arabia countries etc. Allthe components of the products have passed the certification of American UL, CSA or IS09000 (2000) that makes the products sure to be the highest quality products internationally. We insist on the belief, with all the strength to First-Advanced with varied kinds of quality guaranteed, and perfectly display the relationship between our products and people, and its adaptability to the time. What we are concentrating on is not only the minute of the mechanic design or the part of the function, but also we try our best to scientifically combine the spirit of your company today and tomorrow. Every product is estimated by the designer for the environment habit of using and the trend. 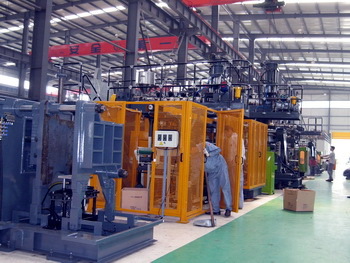 We have expertise research and study department and sales service net around the country, also with the advanced equipment and personnel; that we can at any time grasp the chance and quickly provide the best service for you.